DIG24 - TVI / AHD TO HDMI CONVERTER / REPEATER 1080P FOR CCTV SECURITY HIKVISION / SAMSUNG ETC. • This TVI to HDMI® Converter is the simplest solution to view content from a TVI format security camera on an HDMI display. • The TVI loop out features allows for the daisy chaining of converters to view content on multiple displays. 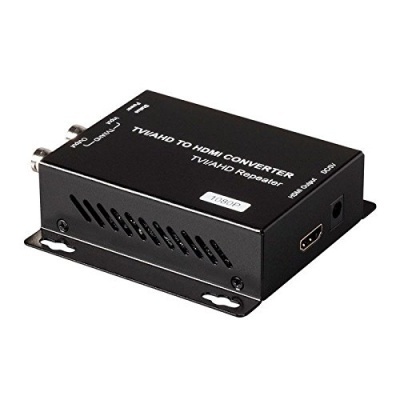 • With support for transmission distances up to 300 metres; this converter is a perfect for TVI video distribution networks; both large and small.